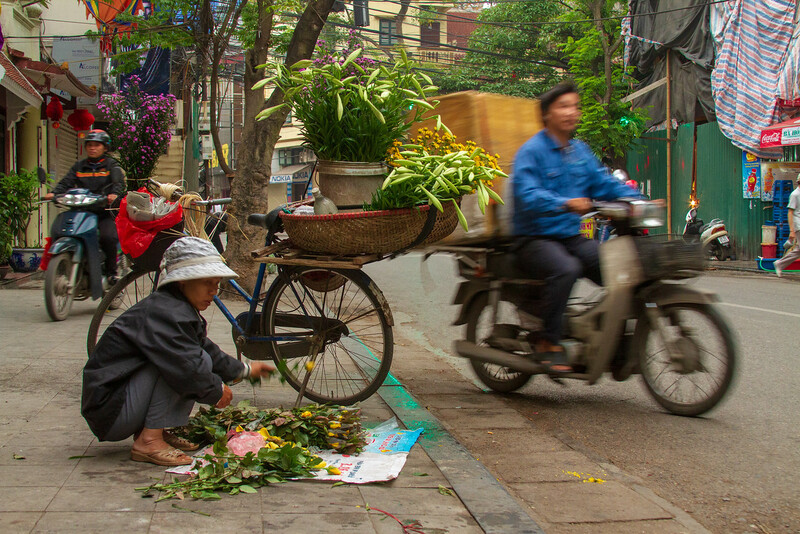 One morning in Hanoi, Vietnam I couldn’t sleep so I decided to leave my hotel early and go on a mini-Adventure through Old Town. Even at 6 AM, the place was a hive of activity with shopkeepers sweeping up their storefronts, street food vendors preparing aromatic noodle dishes and fruit sellers with carts pushing through the streets. One thing that surprised me was the number of flower sellers arranging their bouquets for the day. I was tired but entranced by the scene.